Xolo Q1000s will be Xolo’s upcoming 1.5GHZ Quad core android based Smartphone with 5inch capacitive HD display . As we said in our last post about the Micromax upcoming 4G devices . It seems that Xolo is doing the same . 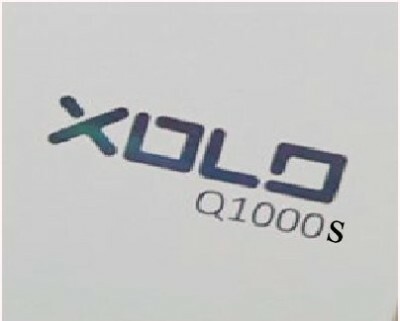 As company has revealed that Xolo Q1000s will be there next 4 core smartphone . The Q1000s will compete with Micromax Canvas 4 , Gionee Elife E6 , Gionee Elife E5 , Karbonn s9 Titanium and Iberry Auxus Nuclear N1 . Well according to the source the device will be launched by end of July . Xolo Play T1000 is another 1.5GHZ Quad core device from the company but it has Nvidia Tegra 3 CPU . Well this is not the only device that company will launch , in upcoming days they will launch several device with 1.5GHZ processor . The company is now liked by huge no of peoples . The company’s after sales services are also pretty nice . The handset would be successor to recently launched Q1000 . Xolo Q1000s will draw its strength from 1.5GHZ 4 core processor , would be integrated with 1GB RAM . It will be priced at RS 16,999 . The device will look stylish as it is only 6.8mm thick , hence easy to hold . The q1000s will come with 13MP rear Auto focus camera ( would have BSI sensor ) & 5MP front facing camera . It will have 5inch HD resolution screen . To make the hardware run it will have Android jelly bean OS . Features like 3G , 2G , WIFI ,BLUETOOTH , GPS , 3.5mmaudio jack and micro USB connectivity ( may have OTG suppport )will be surely included . The device will be able to record as well as play 1080p videos . As it will have 1.5GHZ CPU , the gaming performance and benchmark scores that we get from the device will be pretty impressive . We thinks soon the company would also launch XOLO Q800s , Q700s and Q600s which would be successor to Q800 , Q700 and Q600 respectively . Xolo Q1000s would be peoples first choice if it comes with Nvidia Processor .